I trust we all had a good Christmas? During December I was overwhelmed with the number of entries into Treat Petite. The challenge is only a couple of months old and I am astounded so many of you have taken the time to kindly enter your delicious bakes. I really appreciate it. Without further ado, I present your offerings which all fitted into the theme ‘Happy Holidays’! First entry is from Laura at I’d Much Rather Bake Than… who entered these delicious Christmas Aero Bubbles cookies made with mint Areo Bubbles. She made them after a very busy weekend, which included a trip to the BBC Good Food Show! Next, Camilla from Fab Food 4 All entered her Finnish Shortbread – made by dipping the dough in egg wash, nuts and sugar. I’ve never heard of that technique before but it does sound very tasty. Caroline over at Caroline Makes entered these Chocolate Chip Biscotti – this included orange rind, orange juice and ground coriander. That really is a party going on in your mouth! Jen over at Blue Kitchen Bakes made these lovely little white chocolate tarts. The recipe she used had rose petals on top, but she swapped them for pomegranate seeds, which are very festive. 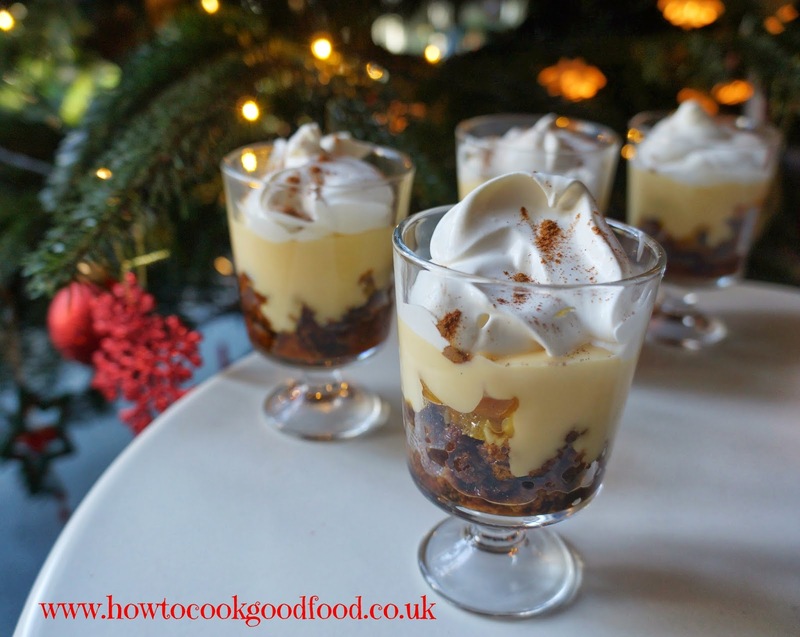 Laura over at How to Cook Good Food made individual trifles – perfect for Treat Petite. These include the retro delight Caramel Oranges and just look divine. They also have crumbled Christmas cake too, so they scream Happy Holidays! 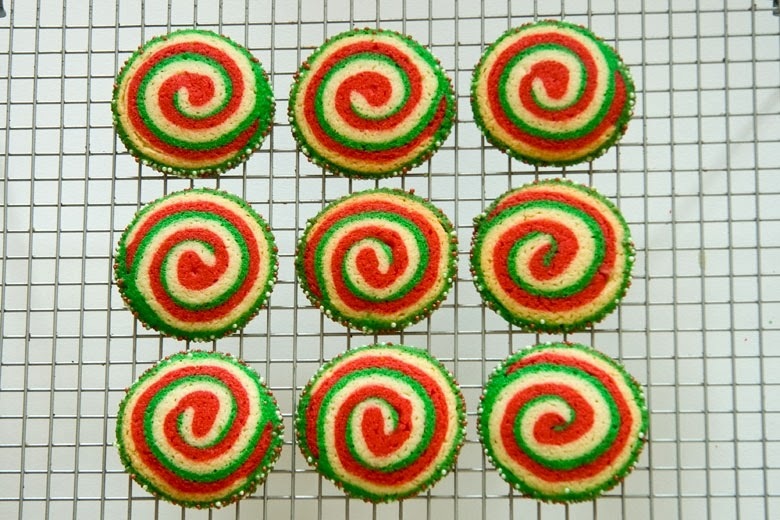 Louise over at Crumbs and Corkscrews entered these very festive peppermint pinwheel cookies. The colours in them are so vivid. Louise guest posted these into our friend Steph’s Cooke Advent Calendar over at Kitchen Frolic too. Kate from Veggie Desserts entered these very original mince pies with spinach pastry. I love spinach, but never had it for ‘afters’ although Kate says that the spinach taste doesn’t come through at all. The pies look very festive with the green-hued pastry! Caroline from Caroline Makes entered another of her bakes – Hershey Kiss Thumbprint Cookies. Caroline said she would love to have used candy cane flavour kisses to make them even more festive, but I think they look great as they are. Sarah at Maison Cupcake entered her Festive Mini Coffee Cupcakes. They have coffee in the cakes and frosting, plus shards of Aero chocolate atop. Added gold sprinkles make these very festive. Coffee in desserts is a favourite of mine, so thank you Sarah! Ros at The More Than Occasional Baker was very busy throughout December and entered quite a few bakes. Firstly, she entered her double chocolate and hazelnut muffins. Anything with chocolate and hazelnut is a winner in my books! She also entered these simple vanilla cookies made with vanilla bean paste. She used festive moulds, so there were snowmen, Christmas trees, gingerbread men and so on. 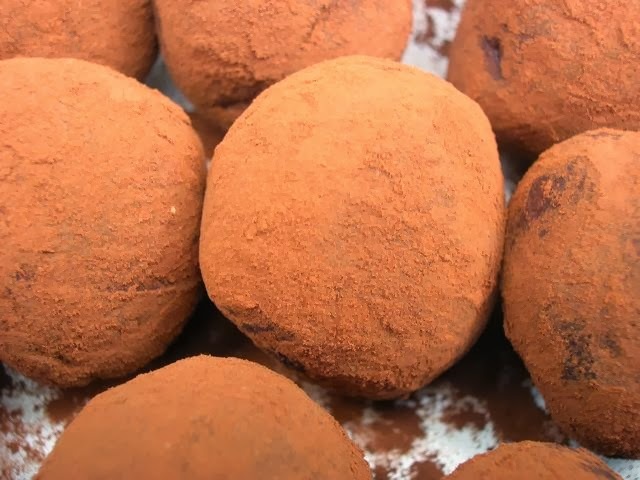 Sophie over at Feeria’s Cookery Journal made delicious chocolate and raspberry truffles for her mum’s 60th. Lucky mum! They are a very good idea for a holiday treat and are super easy to make too. Ros at The More Than Occasional Baker entered another of her bakes – Gingerbread Cupcakes with Golden Syrup Cinnamon Cream Cheese Frosting! I could die happy with a bowl of that frosting by my side. And gingerbread seems to be such a hit this year in Christmas flavours. 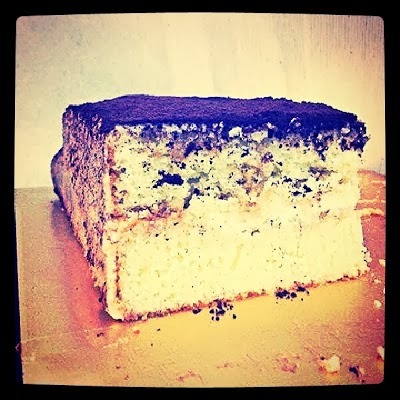 Grace over at Life Can Be Simple entered a couple of her festive bakes – Tiramisu Cake which looks huge! It really sings to the Italian in me – it has coffee liqueur in it, so is another winner with me. Grace also entered her Chocolate Guinness Cupcakes withCream Cheese Frosting, stating that the sprinkles on them were the happy and the alcohol was the celebrating part! Corina at Searching for Spice entered her chewy Gingerbread Biscuits. They look delicious and seem such a breeze to make. Gingerbread is so popular this year. Kate at the Gluten Free Alchemist made these Minty Chocolate Brownies – using gluten-free flour. The stars and glitter are so Christmassy! More from Ros at The More Than Occasional Baker who made Gingerbread Christmas Tree Cookies. Using different sizes of tree cutters she stacked them up, but kept centres hollow so she could pack them with mini m&m’s – like piñata cookies! Great idea. Choclette from the Choc Blog Log sent in her Goat’s Cheese Choolate Truffles.I love that these have ripe goats cheese in them I’m sure the flavour is unique! A good food blogger friend of mine – Keep Calm and Fanny On entered these vibrantly coloured Petit Fours. They are from Fanny Cradock’s recipe which she features on her Christmas cookery show repeated every year ad infinitum. I love these!! Another friend of mine – Claire from What Claire Baked made these very festive Christmas Cupcakes – chocolate reindeer and Christmas tree cupcakes. She was giving them out to colleagues – lucky co-workers!! Our first Antipodean entry to Treat Petite comes courtesy of Green Gourmet Giraffe. 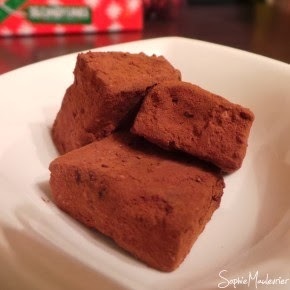 Johanne from Melbourne shared with us her Christmas Fudge and what Christmas will be like for her on the other side of the world from us. Her minty caramel layered fudge looks magic. Charlene at Food Glorious Food brought us her Christmas Brownies – with added glace cherries and brazil nuts. These certainly meet the Happy Holiday criteria! Caroline over at Caroline Makes entered another couple of bakes. Firstly her Christmas Cupcakes flavoured with brown sugar and cinnamon. Heavenly tastes and they look great adorned with a little cupcake Christmas kit she picked up. Caroline also entered her Reindeer Pops. These are made from crumbed Madeira cake, dunked in chocolate and have pretzels as antlers and red m&m’s as noses. Too cute! Elizabeth at Elizabeth’s Kitchen Diary entered these Whipped Shortbread Cookies which so light. These also featured on Steph’s Cookie Advent Calendar over at Kitchen Frolic. Another bake from Ros at The More Than Occasional Baker – cornflake Christmas wreaths. 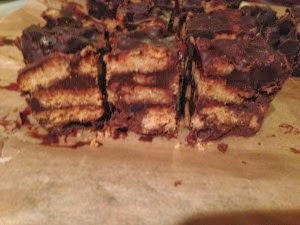 These are a Nigella recipe and are made from melted mallows and cornflakes. Shaped into wreaths these look just like the real thing! Ros also made these Irish Cream Chocolate Truffles– what’s Christmas without a glass of Irish Cream? These look very naughty! 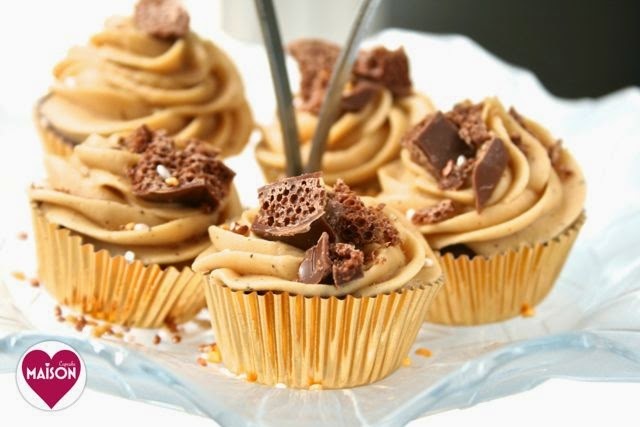 Ros’s last festive bake for us is her Chocolate Orange cupcakes – made with orange frosting. As an added bonus they have a hidden (chocolate) gold coin on the inside. Chocolate Orange is another of those things which instantly remind you of Christmas. Cupcake Girl from My Cupcake Habit entered these yummy looking ginger stars dusted with loads of icing sugar – makes me think of snow! Siobhan from Tasty Recipes and Other Stuff entered her Christmas Tiffin – it was jam packed full of the flavours of Christmas – ginger nuts, brandy, sultanas, raisins and chocolate – this tiffin would keep you very merry at Christmas. Kat, my co-host from the Baking Explorer entered her MulledWine cupcakes – these actually have mulled wine in them so would pack a punch! The frosting had cinnamon and mixed spiced so would compliment the cupcakes very well. 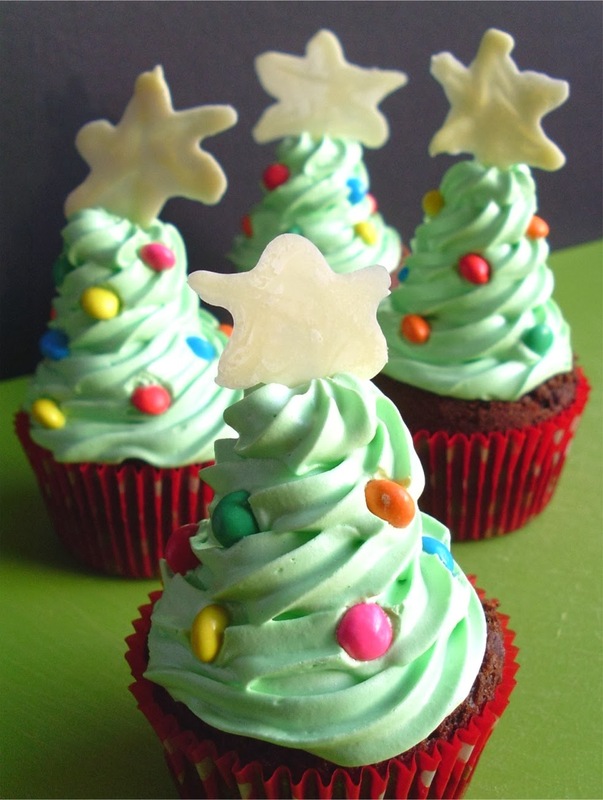 And lastly my entry – Chocolate Pine Xmas Tree Cupcakes. I used pine essential oil to flavour the chocolate batter and piped mallow fluff on top of the baked cupcakes. 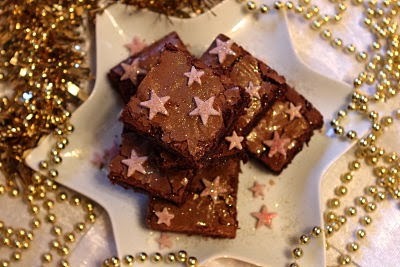 Apart from the dodgy white chocolate stars on top, I was very happy with the way they turned out! And that was Treat Petite for December 2013. A huge huge thank you to everyone who entered. I hope I have got everyone this month, but if not drop me a line! Pop by Kat’s blog soon to find out what she has in store for January. Wow, so many fab petite treats! Thanks for collecting them together, lovely! Awesome festive round up - so many ideas for next year and that's for indulging my baking addiction :) Look forward to seeing what Kat has in store for Jan. Happy New Year! A lovely roundup. I'm eating Christmas cake right now but there are so many things here I'd love to make. I'm a bit sad the holiday season is over. Thanks for all your lovely entries peeps! Keep them coming for January's free from theme!